It’s hard to believe that it’s that time again… time when the days begin to get shorter, the nights may cool off, and the kiddos go back to school. This week marks the start of a new school year for our children who are entering pre-school, Kindergarten, and 2nd grades as well as most of our crew. We are glad to say that some of our crew will be starting their first year in college, some will be going back to high school, and at least a couple will be sticking with us. That means that while we tearfully say goodbye to most of our crew, we will be welcoming new members as well. This farm would never work if we didn’t have great people working with us and we fully expect growing pains as new crew members learn the ropes. 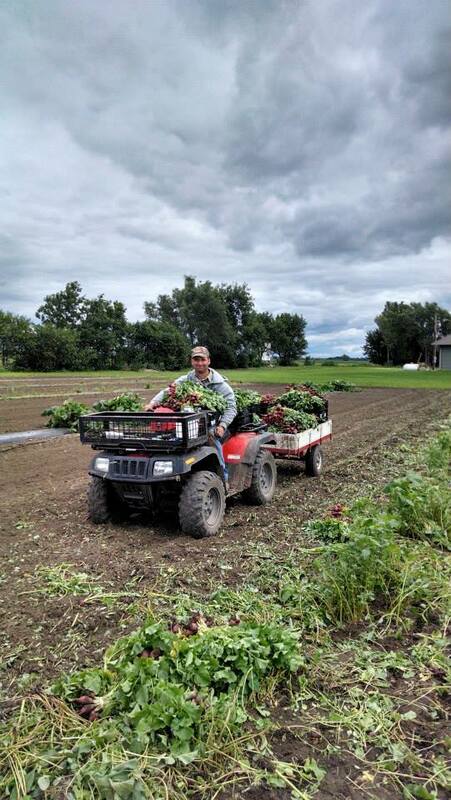 We are excited to tell you that we officially had our largest single-day produce harvest on Monday this week. 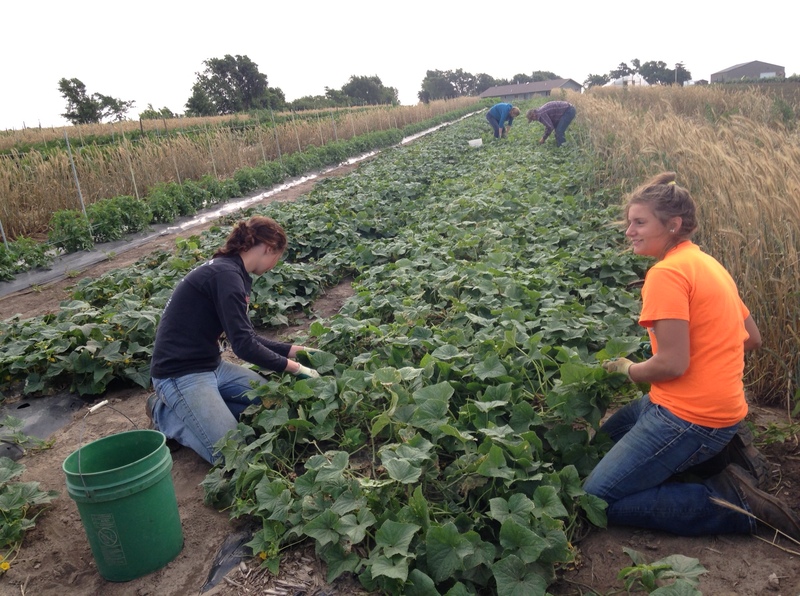 We picked cantaloupe, pickles, squash, zucchini, eggplant, tomatoes and more than 4,000 pounds of potatoes! All of this is hand-picking, labor-intensive harvesting of produce. Make sure you check out the blog pictures this week – we have a great machine from the 1930’s with steel wheels that we have modified, as it was originally pulled behind a horse, but we now pull it behind the tractor. The machine digs up the potatoes, rolls them over a steel chain and dumps them back out on the ground. 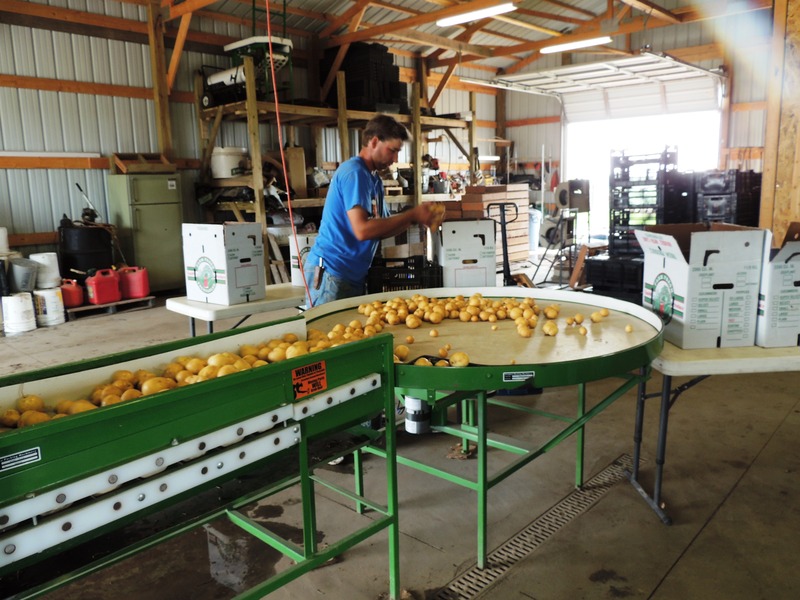 We follow this machine by crawling on our hands and knees, picking up each potato, inspecting it for quality, and putting it in a 5 gallon bucket. We then load *heavy* buckets onto a trailer, drive them back to the shed and do a combination of hand washing and machine washing of potatoes before sorting and weighing them. All-in-all, it’s a rewarding, but exhausting process. It’s also exciting to tell you that we will begin harvesting water melons at the end of the week! We’ve ravenously eaten the first couple early melons at our house -to make sure they are top quality, of course 🙂 We are harvesting cantaloupe like gang busters, but the plants themselves are not looking great. It seems the plants may die earlier than normal this year, so it may be pertinent to eat your melons now. 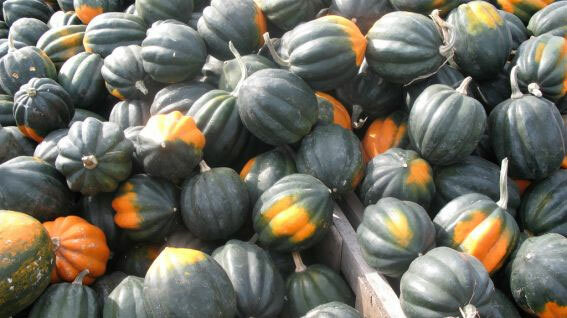 Hard squash and pumpkins are looking excellent for winter. There are some fruits on the vine and these plants look better than any other hard squash crop we’ve had. Thank you for your continued support of the CSA. We hope you are all enjoying the produce. We are excited to tell you that we finally caught a rain on the farm. The storms have mostly been going around us since early July, but we got a little over an inch on Tuesday morning. There is nothing better than being able to say it rained in August! To a certain extent, we think Ryan may have unintentionally made it rain. 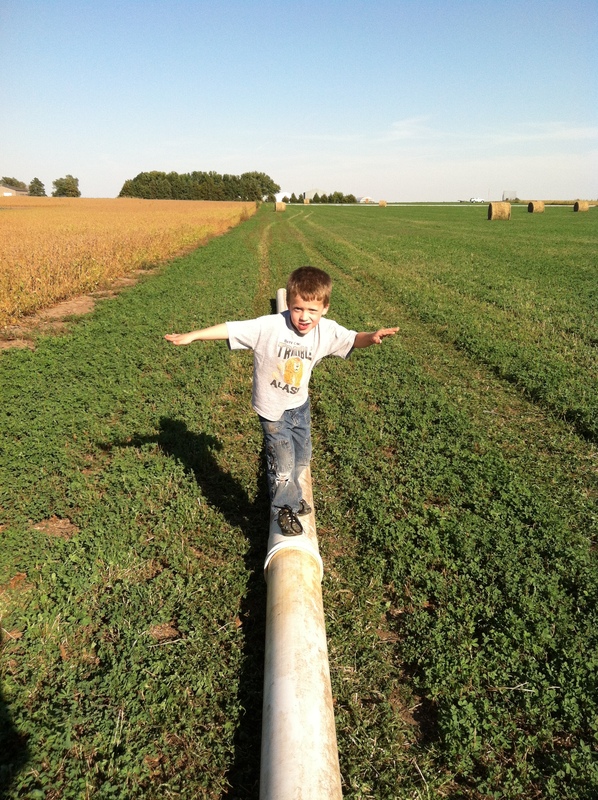 He and the crew loaded up a ¼ mile of pipe to lay out more irrigation. This made the hornets, who had made a home in the pipe, unhappy and ended up with two people getting stung. We had also talked about cutting hay – another activity that typically results in rain around these part (mostly because you don’t want it to rain on your cut hay)! This rain will help us make a great pigweed broccoli and cauliflower crop. At the end of last week we were able to get in the field to do some transplanting. We put out about 8,000 broccoli and cauliflower plants for the fall. Some of this will go to grocery stores and some will make its way to you and the markets. In the dark morning hours, when the lightning kept us from working outdoors, we were able to get into the greenhouse and clean out (get rid of) the tomato plants. About an hour later we came back in and seeded cucumbers for the fall. This is the first year we have trellised plants in the green house and we think its been going pretty well. The rain also gave us the opportunity to finish cleaning up one of the high tunnels. 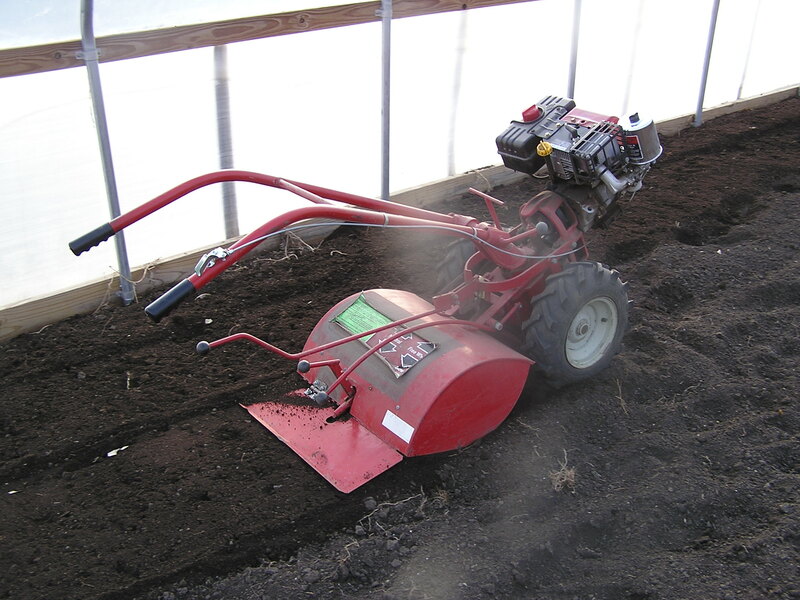 When crops start to go downhill or have been harvested completely, it’s time to move on. The crew cleans up the remaining crops. We then come in and rototill the tunnel – it’s amazing how much soil compaction can occur simply from foot traffic in walking paths! The plan is to then re-plant the tunnel with orange and red beets, carrots, lettuce, spinach, and green beans. We’ve spent a lot of time harvesting over the last week. The zucchini and cucumbers are coming off great, tomatoes have picked up in production, beets are looking good, and we were even able to pick 330 eggplant. 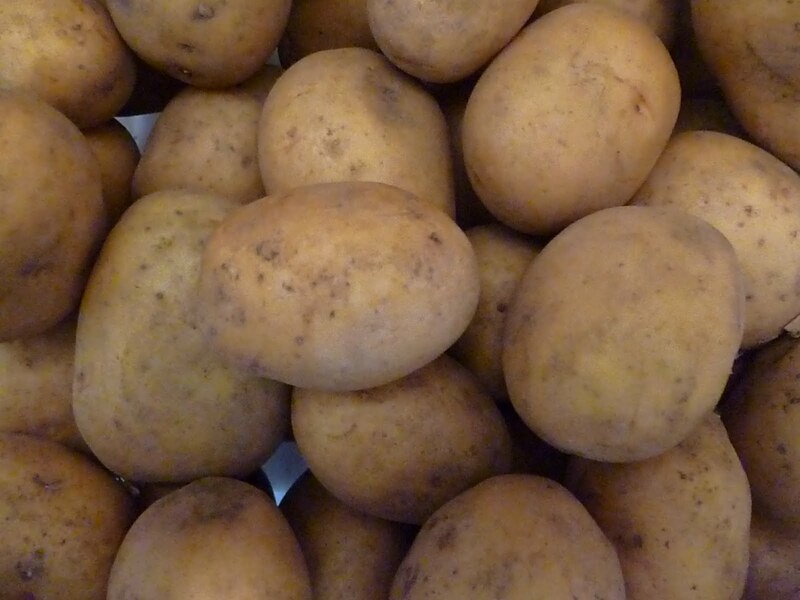 We had planned to give you a five pound bag of potatoes this week, but because of the rain, we were unable to get them dug. So instead you will be getting cucumbers and zucchini to make up the difference. We promise the potatoes will be coming soon. We are once again participating in the Seward County Fair. As in Butler County, Katie is again the superintendent in Horticulture. Hopefully, there will again be great participation. WHAT’S IN THIS WEEK’S BAG?